Item Number: 66-7-221 19162 Actual Weight: 1.5 lbs. 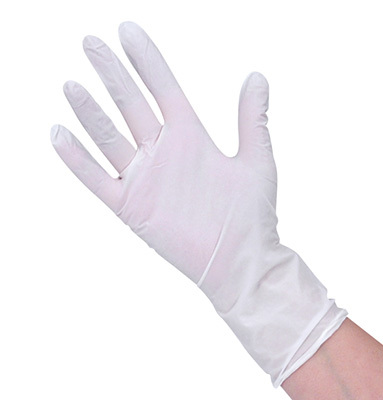 Class 100 powder-free nitrile glove prevents contamination in clean room environments. Soft and flexible glove allows for better fit and comfort for long-term wear. Textured fingertips make gripping products easier without reducing tactile sense. Beaded cuffed glove has static dissipative properties and can be used with products that are susceptible to particle and ionic contamination including items with static electricity sensitivity. Mil thickness: palm 3.9 - 5.9, fingers 3.4 - 7.9.